How do you distinguish between self-expression and seeking people’s acceptance? The difference between self-expression and seeking acceptance can be summarized in one word: GROWTH. In it’s most effective form, self-expression is comprised of your belief and a benefit to your audience. The process of expressing ourselves is expansive. It promotes growth because YOU ARE GIVING SOMETHING TO THE WORLD. Self-expression is happening regardless of whether or not everyone likes you, because it is what you believe. It is what you stand for. Try it out. Speak your truth. Speak to universal values – the aspects of our lives that have deep resonance and that can apply to various people and platforms at any stage of life or business. The process of seeking acceptance is restrictive. It impedes growth because YOU ARE ASKING SOMETHING OF THE WORLD in order to process. When we seek acceptance, the full expression of our voice and our contribution become contingent upon what others think. We only go forth and stand for something only if …. Pleasing people and seeking acceptance is not serving them, as it diminishes the potential of your impact. It diminishes your potential, period. Our fullest expression of personal and universal truths, beliefs and values should never be contingent upon what everyone thinks of you. 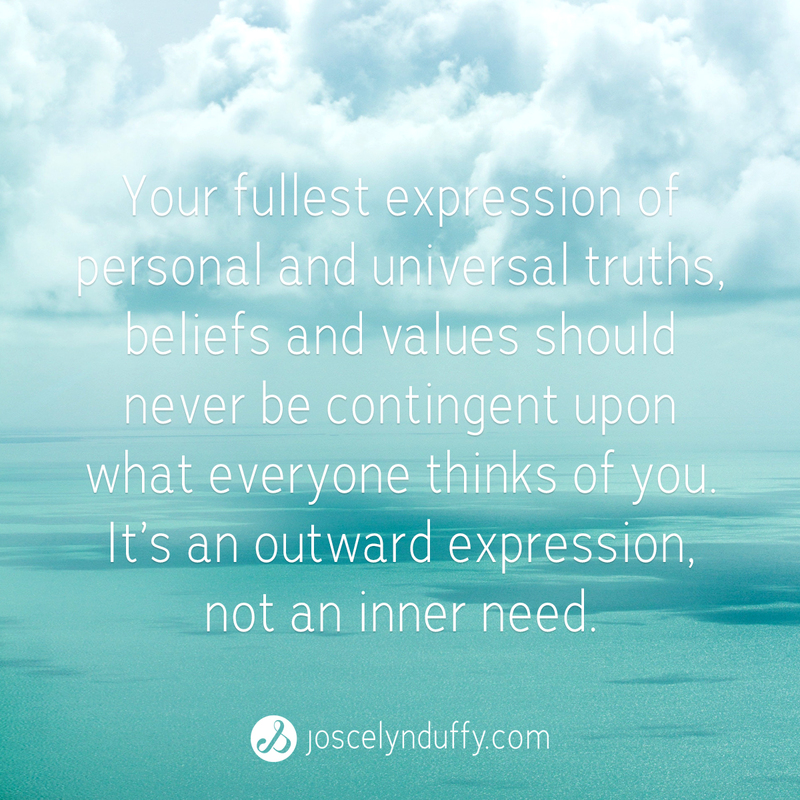 It’s an outward expression, not an inner need. You understand that not everyone is going to love you…though you also understand that there is an abundance of people available to love (and work with) everyone. We all have an audience. What matters is that our expression is conducted in a context of respect, with an intention of bettering our world. It is our duty to go forth and share what we are intended to share. When you share your voice from a place of wanting to maximize your business and life platform through full self-expression, you do it because you care deeply about those who come on board with you. It is service, expansive service. Along the journey of adding dimension to your message and ideas, you’ll take into account how those who are on board (and those who aren’t yet on board) see you and use it to better your mission. You worry less about those who choose not to come on board (you don’t dwell on what they think), because you know that the expansion of the critical message, thought or idea that you have to share will happen only when you focus your energy and attention on those who are on board. This is a choice! When you use self-expressing as service, you aren’t looking to be validated or get anything in return. 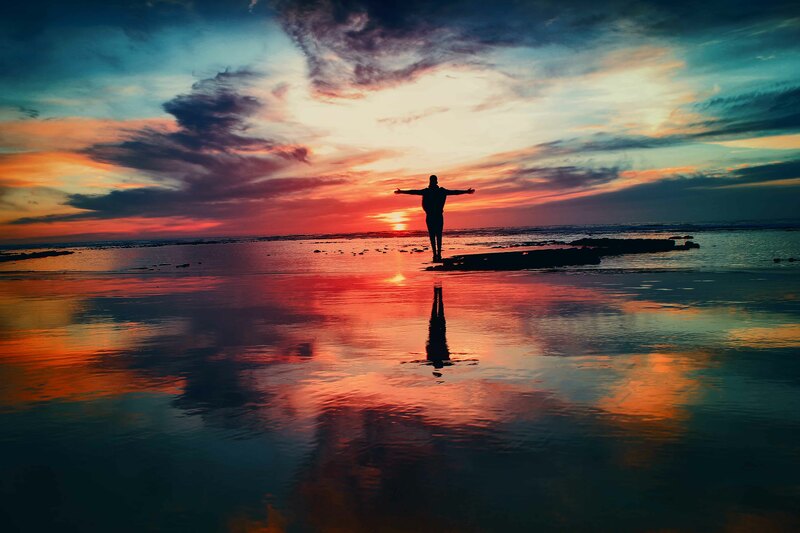 You understand that when you give from a place that is true to who you are, what you stand for, and what you’ve learned (from your experiences) to now share with others, there will be plenty of work that comes to you because you are operating from this pace of authentic self-expression. For direction on effectively communicating your personal truths or beliefs, get your FREE copy of Communicating Value: 5 Steps to Increasing Long-term Visibility and Viability in Business HERE. Post originally published on Thrive Global, March 9, 2018.